For all the progress in improving access to education in the United States, there is overwhelming evidence indicating that low-income children have limited access to qualified teachers, materials, and books than high-income children. In fact, two-thirds of low-income American families have limited access to books for their children, impacting their literacy development. Not only do low-income children have limited access to books at home, but they also live in communities with fewer books in the public library, classroom, and school. As a result, this lack of access of books creates an “achievement gap” between high and low-income families. With access to fewer books, low-income children do not have the opportunity to expand their vocabulary, develop literacy skills, gain more knowledge, and enjoy the pleasurable experience of reading a story. It is estimated that “by the time low-income children reach 3 years of age, they have a amassed a vocabulary of about 500 words. But by the same age, children from more affluent families have vocabularies more than twice as large, with about 1,100 words.” Many of these children who have lower vocabulary skills go on to poorly perform academically through high school. But there’s more. It’s not just that low-income children will poorly perform academically, but they are also disregarded the pleasurable experience of reading a story. Reading stories foster a child’s imagination and empowers them to discover their full potential. C.S. Lewis once said, “we read to know we are not alone.” Books are sanctuaries that enable readers to live in each character’s life and be part of a story where they can relate to people. These stories have the power to inspire curiosity, learning, and action. So how can we close the access-to-books gap in our communities and provide children the enjoyable experience of reading stories? Instead of letting our gently-used books sit on the shelves unread, let them sit in the hands of a child who does not have access to books. We can work together to give every child a chance to read. Vaunda Micheaux Nelson, author of Bad News For Outlaws, as well as several other books about African-Americans, is quoted in NPR as saying that young people need to see themselves represented on the pages of their books. Children are more interested in the books that include characters who look like them or share common experiences or backgrounds. Simultaneously, exposing children to a diverse range of literature can teach cultural lessons and open up a window into a world of perceiving, understanding, and ultimately accepting difference. According to Botelho & Rudman, books may act as a bridge between sociocultural groups. Just look at the disparity between the numbers in the two charts. 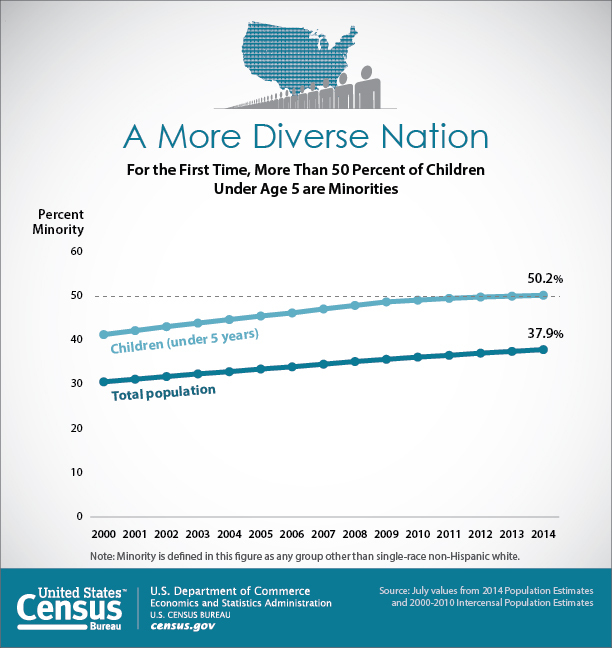 Out of the 3,400 books received by the Cooperative Children’s Book Center in 2015, only about 15% were written about racial minorities, who now make up over 50% of children under the age of 5 in the US (Census Bureau). Not to mention that the percentage of children’s books by people of color are similarly low. If you have access to a source of diverse children’s literature that you no longer need, we highly encourage you to reroute them! As children read, they learn to socialize through what the content they consume, which is why it’s not just the access to books themselves that matters; the quality and diversity of those stories matter just as well. We encourage you not only to reroute the gently used books that you no longer read, but also to be conscious about what kinds of books you give back. See below for a map of our partner organizations who are accepting books! Like us on Facebook, follow us on Twitter, or subscribe to our monthly newsletter to stay updated on and engaged with us. Share our video and spread awareness; encourage your friends and family to re-route books they no longer need to those who do need them. Fill out our usability research survey to see if using our app is a right match for you! Look out for our upcoming mobile app, and download it when it comes out!